Christmas is all about magic, right? So what could be better than focusing on an area that matters the most, which is the living room? The living room is the focal point of many homes. It’s the place where all your major celebrations take place. 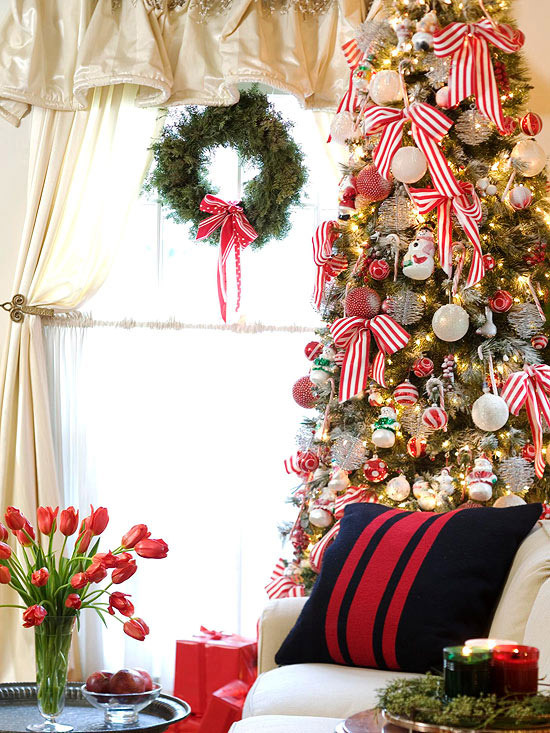 Hence it should be decorated in such a way that it sets the tone for festivity. And by decoration, we don’t mean just putting a large sized Christmas tree in the living room. You have to take care of other elements as well. 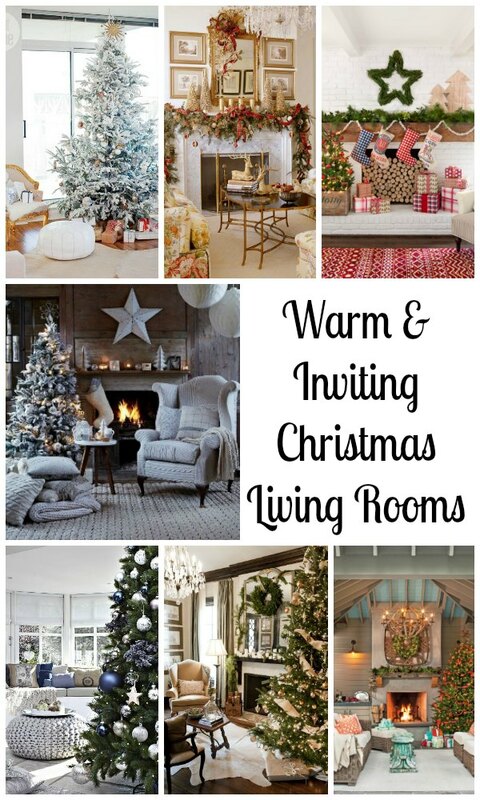 Below, we’ve compiled a list of beautiful Christmas living room decorating ideas to inspire you. Have a look! 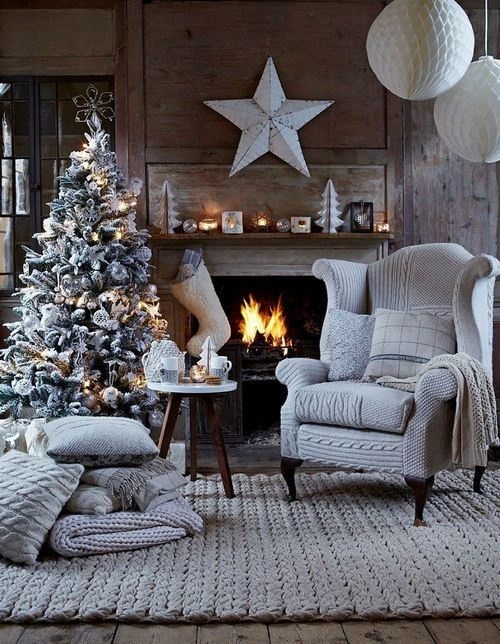 If you want to go the unconventional route this Christmas, opt for this understated gray theme for the living room. Don’t be surprised to see an influx of people taking photographs of your room. 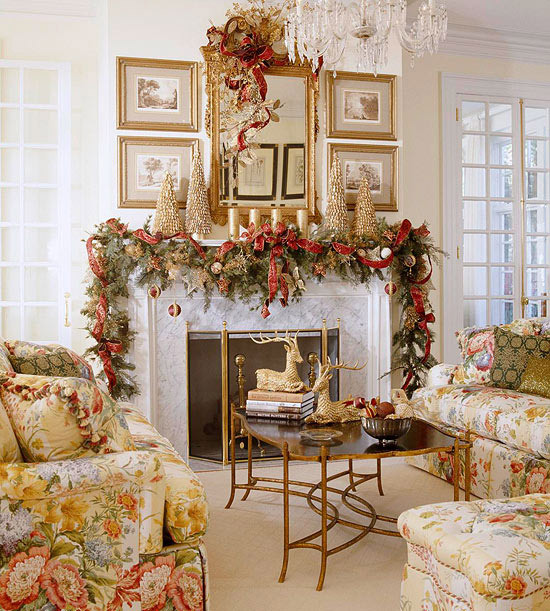 The wreath is one of the most important components of a Christmas decoration. 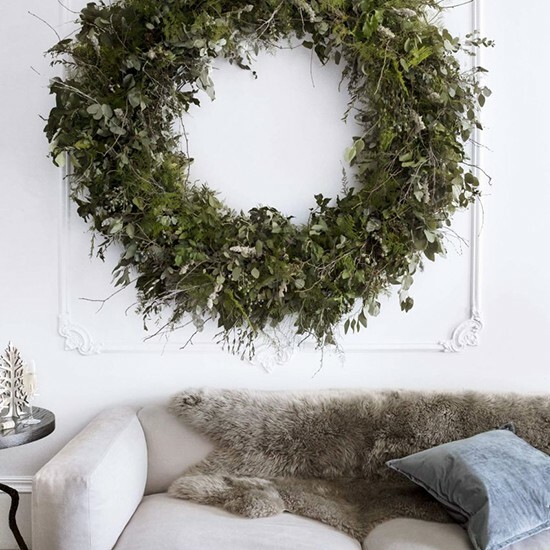 So place an oversized wreath on the wall above the sofa. Fresh foliage, especially, will make a great statement. If you’re not shy of colors, you can try a bold color scheme for the staircase. 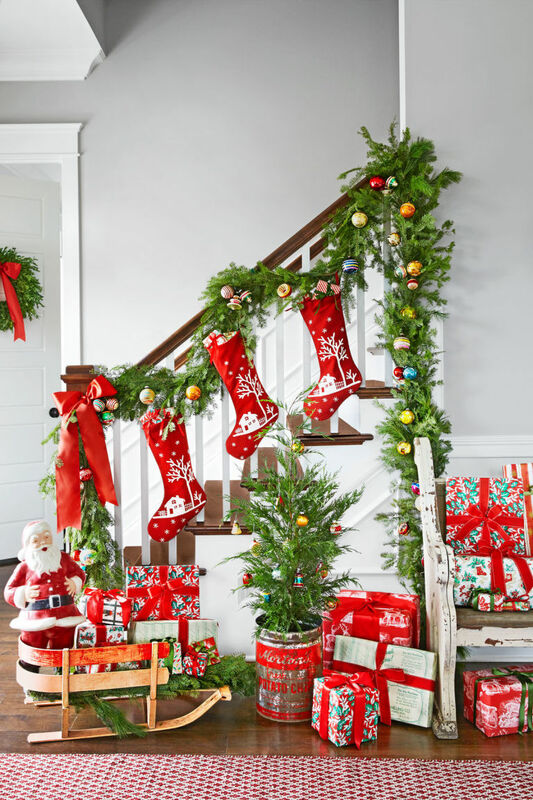 This idea features colorful ornaments, stockings and gift boxes wrapped with colorful papers. A very straightforward and understated look for Christmas. 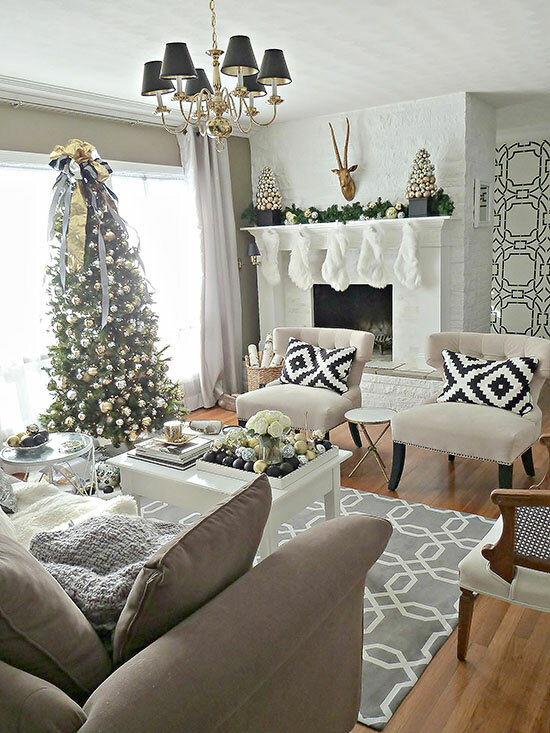 Just a few accents like faux Christmas trees and a floral vase is used. The layers of textures used in this room will make your guests never leave this room. 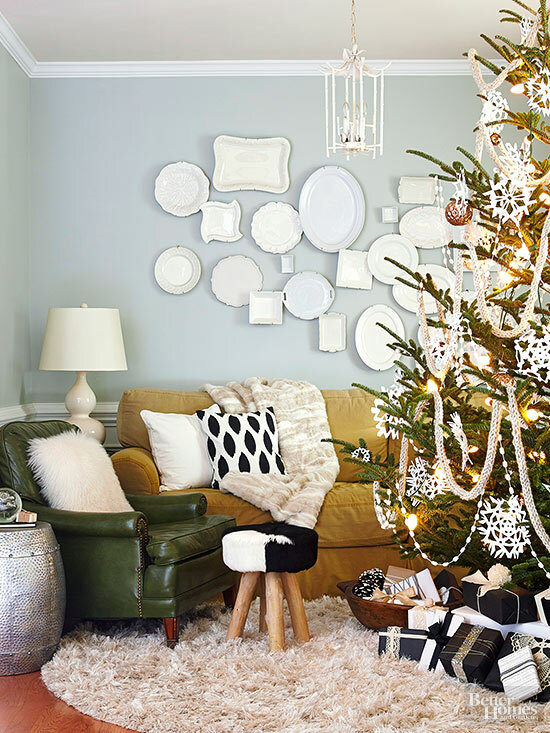 The snowflake ornaments and pompom garland are uniting the tree with the room décor. 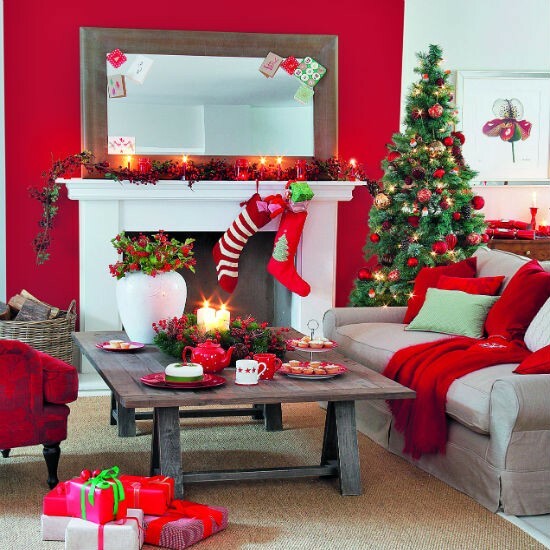 If you have a neutral living room, give it a dramatic look by painting a wall scarlet red. This splash of color will give the tired looking living room a lift. 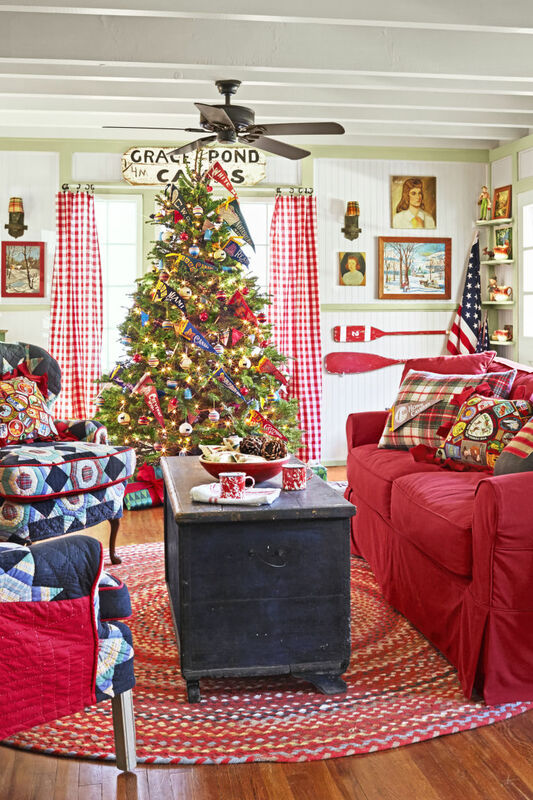 This is exactly how a Southern American house would look during the Christmas. The Christmas tree is prepped up with roadside attractions and pennants from National Parks. With just some effort, you can transform your house like the beautiful one you see in the picture. 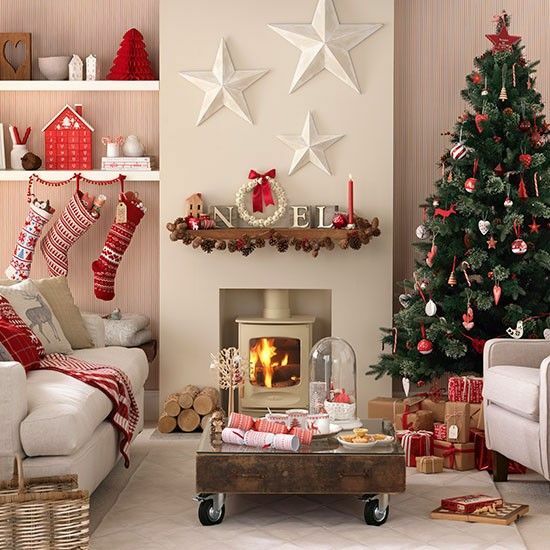 Spread happiness this Christmas by opting for starry wallpaper for the living room. You can even trace the stars on the wall using stencils. Red and green are go to color scheme of Christmas. But if you want to opt for a modern setting, opt for a black, white and gold palette. 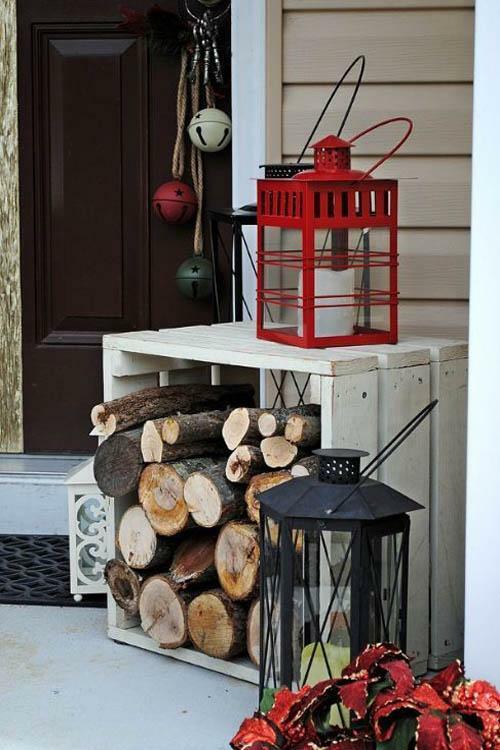 And for the elements, mix both every day and decorative elements. How about adding a hint of blue to the gray, white and silver décor? Blue, as we all know, is synonymous with winter because of the color of the snow. 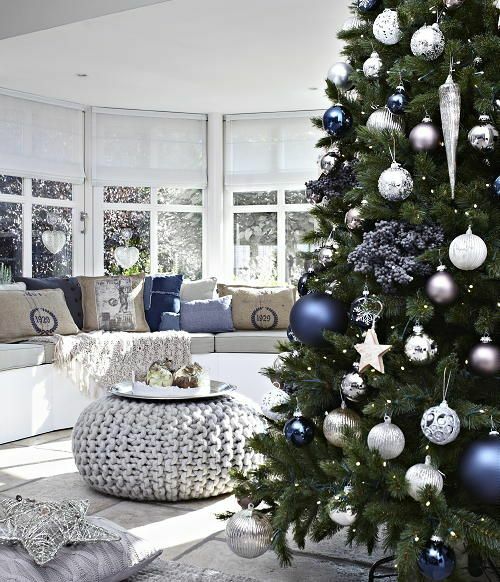 So throw in a few blue cushions and some ornaments on the tree to give it a different look. 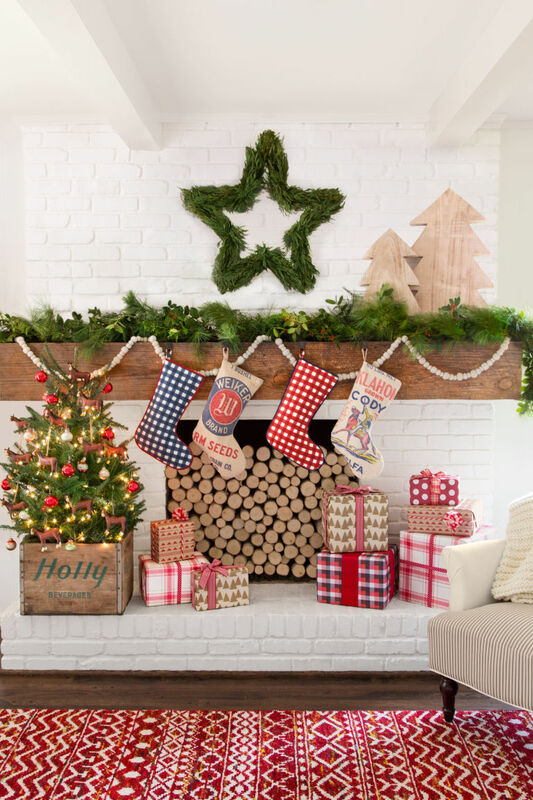 This star shaped wreath upon the mantelpiece and the countryside stockings are creating a perfect Christmas scene in the living room. Did you notice the rug? Despite being a relatively small living room, the decoration is bang on with this one. 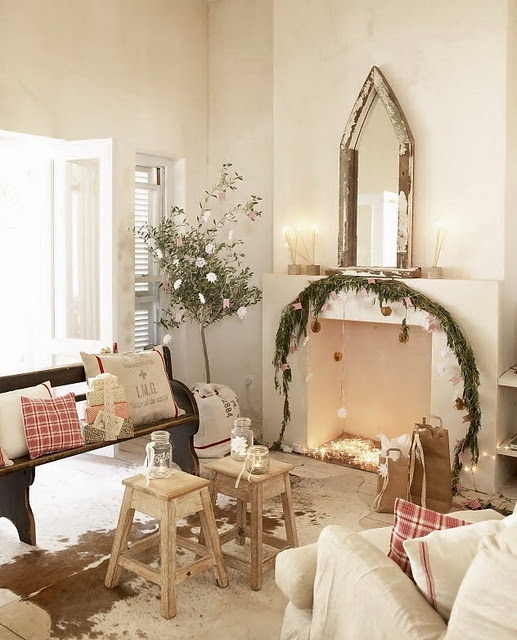 Create a wonderful white Christmas with hints of green with this amazing idea. And we even loved the idea of attaching pompom to the cushions. If you have furniture which has a retro look, you can opt for a warm and bright color scheme with joyful accents, like a party-ready bar and polka dots. 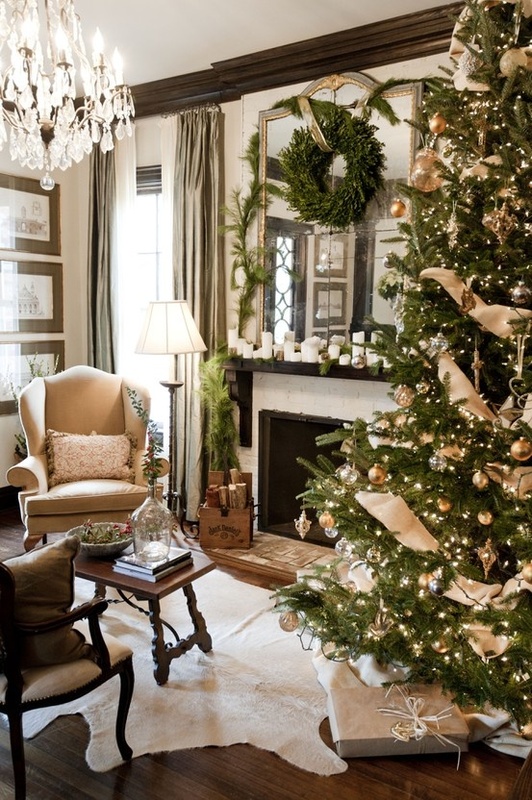 If you don’t wish to go over the top, throw in some elements of gold via a chair and a tree topper. A few golden ornaments wouldn’t hurt, though. 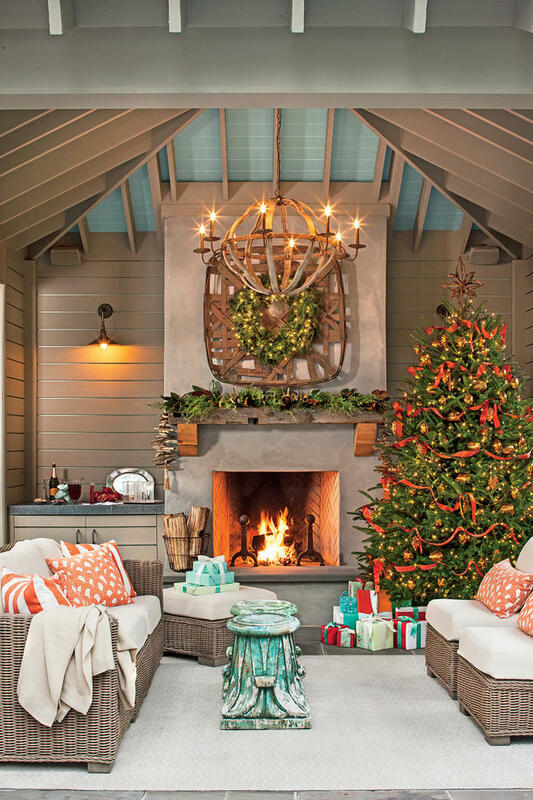 This warm and inviting living room has the most unique color scheme of orange and green. 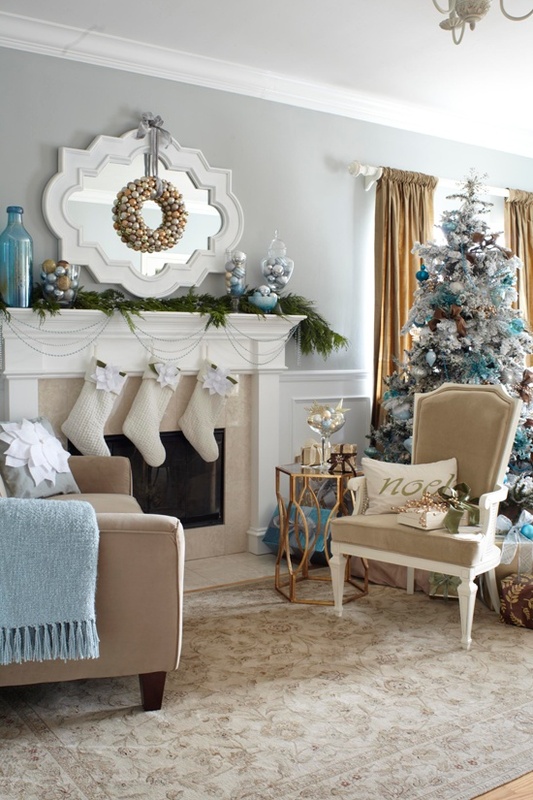 Hints of turquoise are also used in this decoration idea. 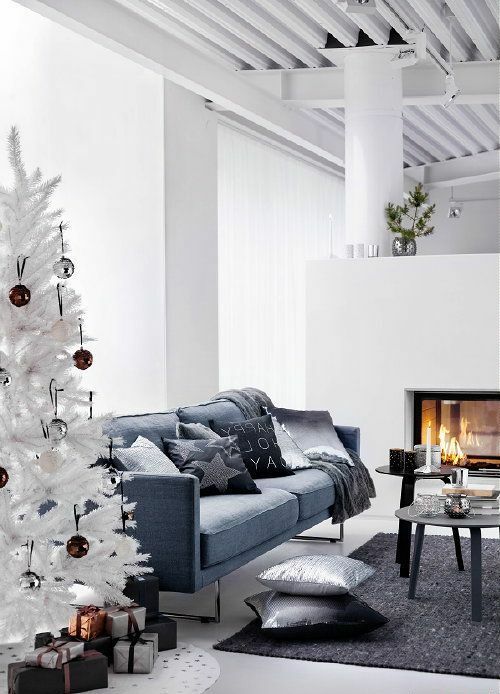 A traditional living room is given a modern and festive makeover by incorporating Scandinavian decoration elements. 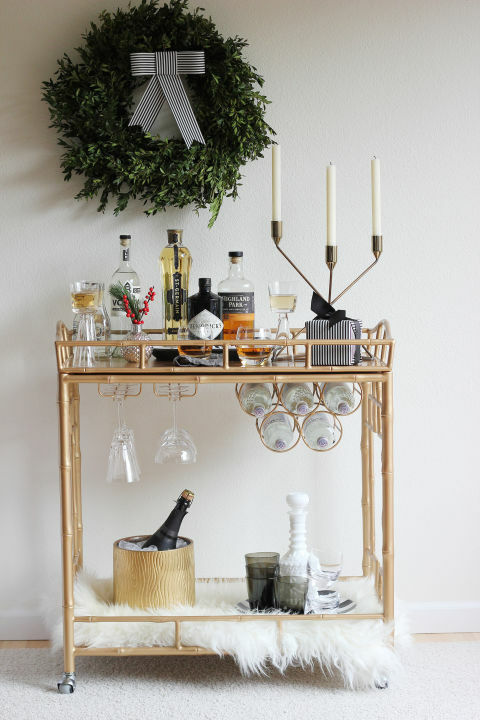 If there’s one place your adult guests will gather around in Christmas, it’s the bar corner. 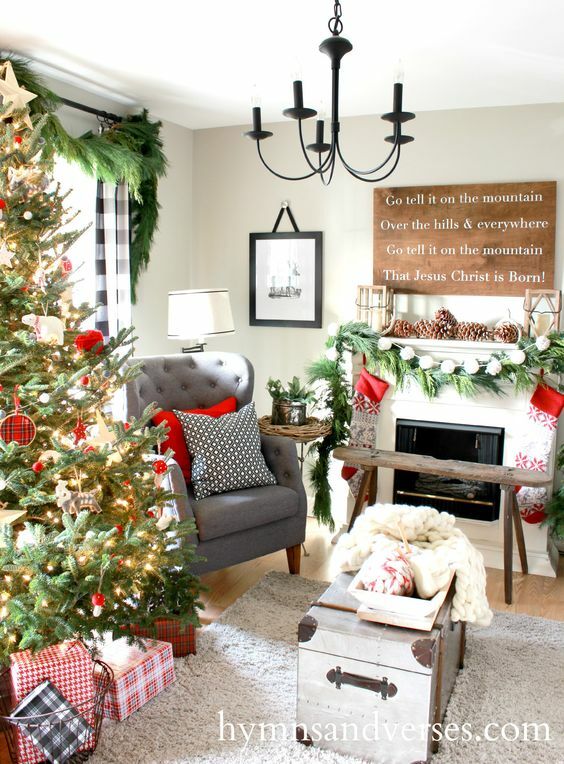 So take inspiration from this picture and decorate with wreath and candles. 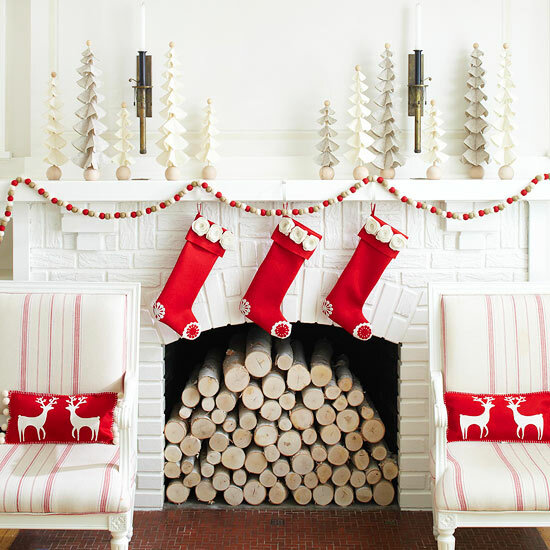 To give your traditional red and green décor a twist, add pops of fuchsia to it. 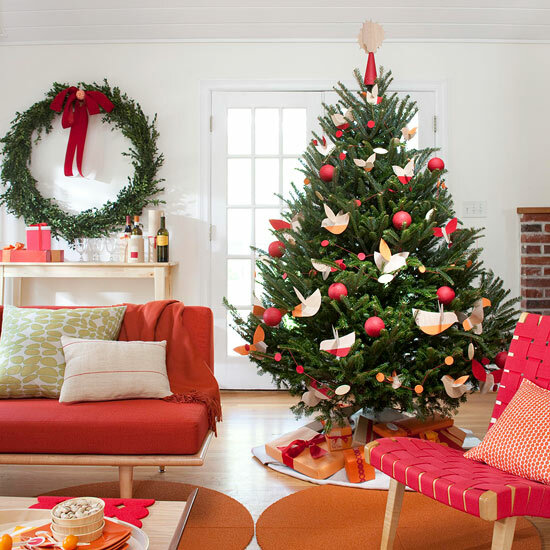 You can use magenta or fuchsia on the couch, lampshade, wreath, Christmas tree and gift wrap. A green and gold color scheme would give your house a royal look. Burlap ribbon on the Christmas tree is also going well with the décor. A gigantic Christmas tree is a must this Christmas. But do you know what’s different here? It’s the mix and match of the plaids used here. Doesn’t this image harken back to the Victorian era with its floral prints and extensive use of gold? The Christmas trees on the mantelpiece are looking outstanding. 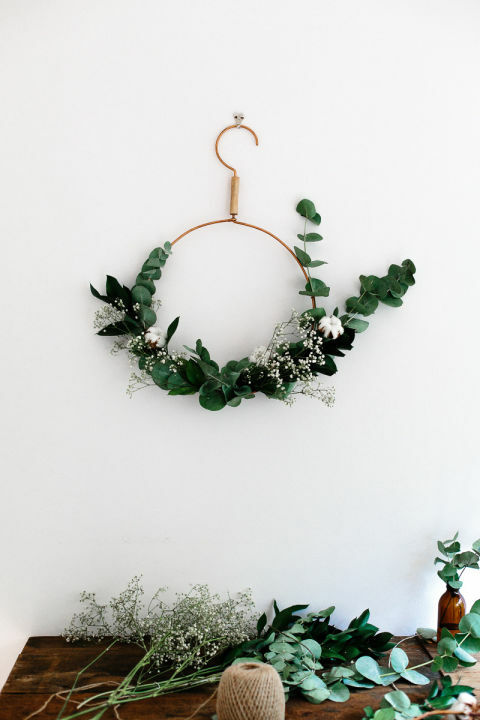 If you’re going for a minimalist theme for the living room, this half wreath will make an excellent addition. 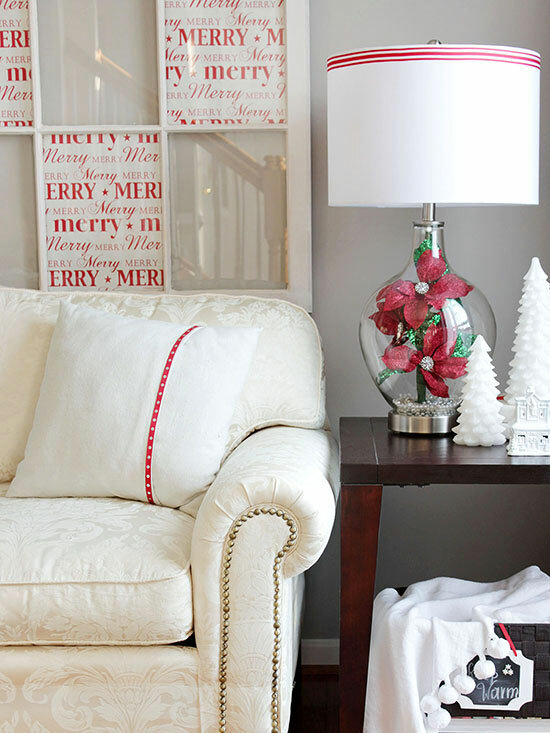 If you have a crisp white living room, make it holiday-ready by throwing in some red. 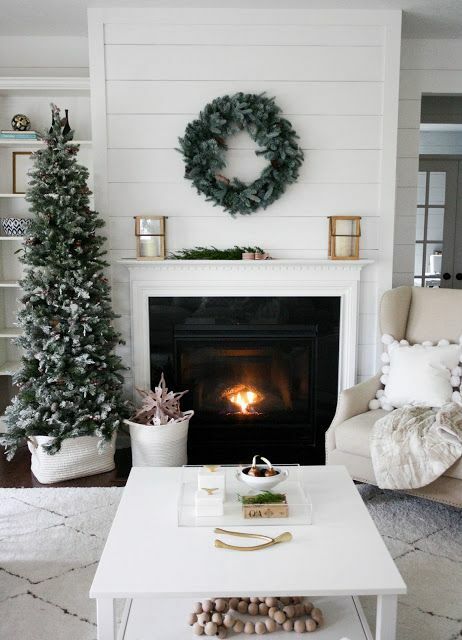 The birch logs in the fireplace and the lovely trees on the mantel are giving it a whimsical look. This living room looks like it has been ripped off from the movie “Frozen.” We find the mantelpiece decoration immaculate and clean. The best way to create a swag is by using nontraditional materials, something like you see in the picture. The mantel here is decorated with birch bark shavings and thin tree branches. 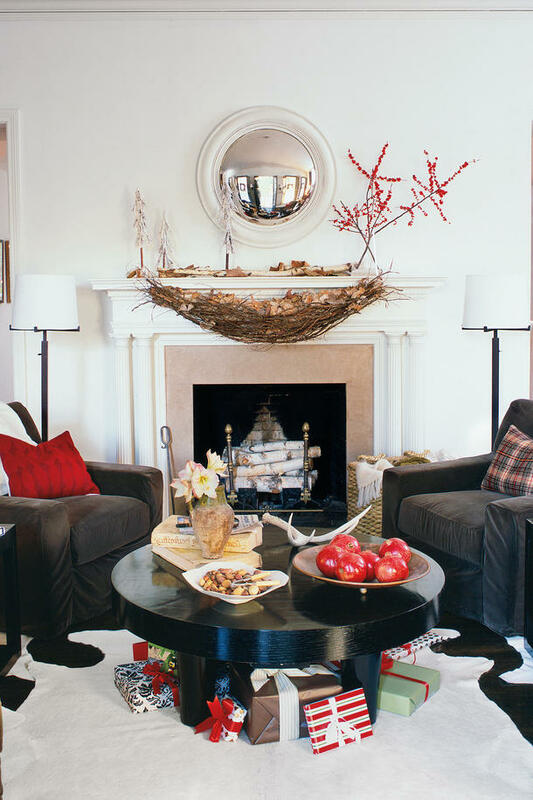 A floral centerpiece will give an understated, yet beautiful look to the living room. 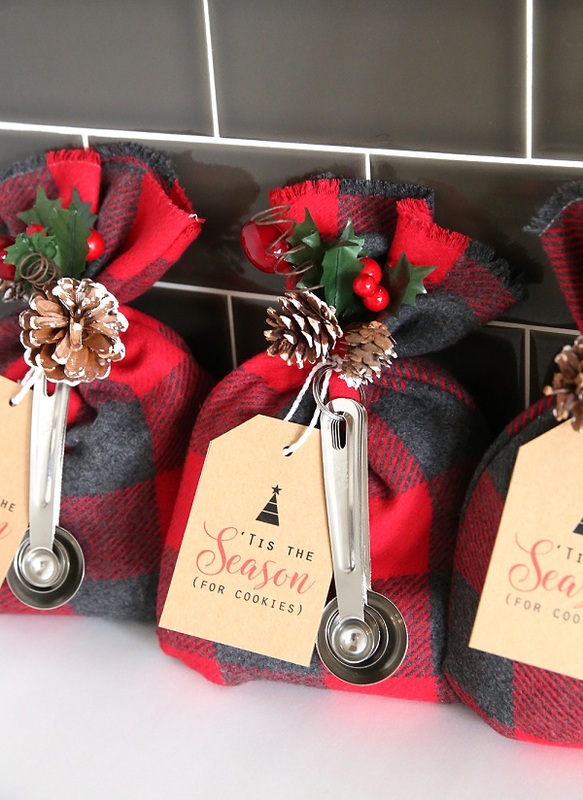 This is a perfect example of rustic Christmas decoration. Hats off to the designer for such a unique idea. 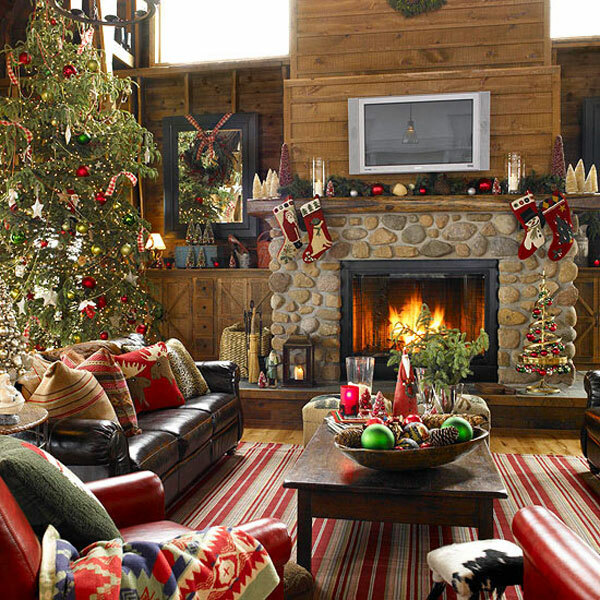 Another excellent option for modern Christmas room. 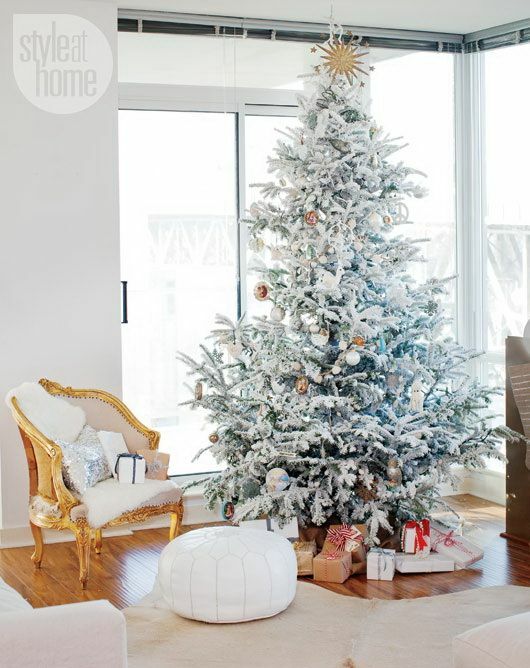 While the white Christmas tree with metallic accents look exemplary, the cushion cover takes the cake here.